Was clean,central,easy to access. Has local shops and breakfast available nearby. 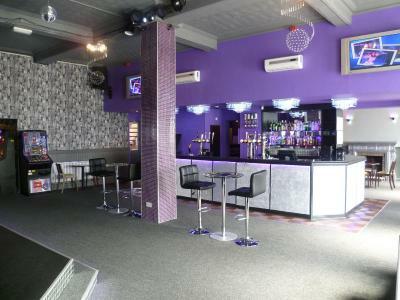 Staff were friendly.The nightclub below wasnt an issue. 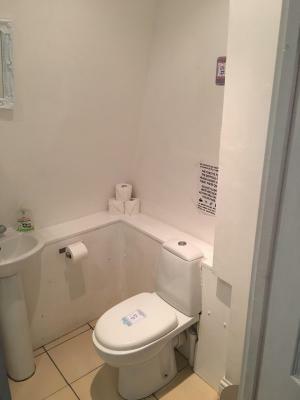 The room was clean and the bar is cheap and the overall price was excellent. The location and the price was good. 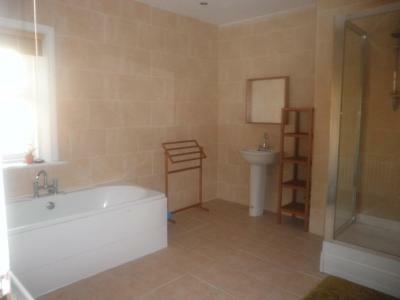 Nothing else about the property is worth mentioning. Check in was quick and fast and the lady was nice. 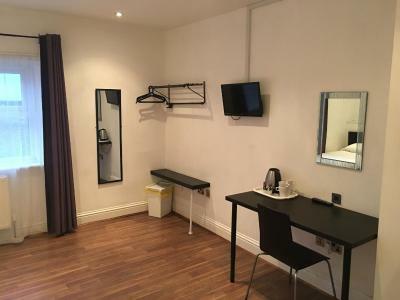 The room was to a decent standard at best. 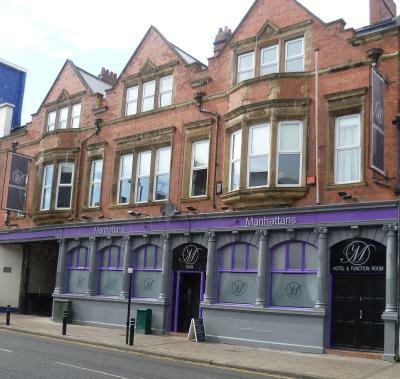 Mahnhattans is located in Wallsend, 2 miles from the city centre of Newcastle. The station is just 2 minutes' walk away and has 10-minute bus or metro journeys to the centre. 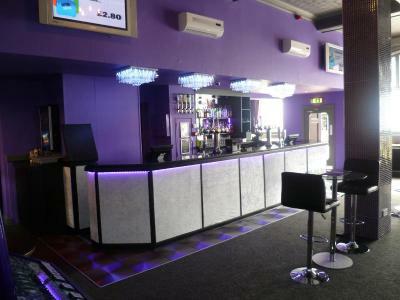 With an on-site nightclub and bar, this great party venue is also just a 15-minute journey from St James' Park or Metro radio arena. 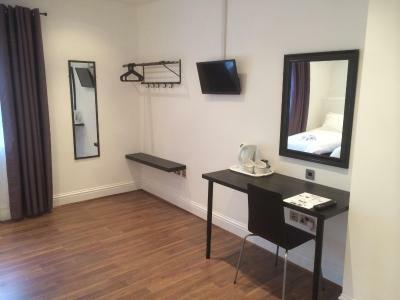 Each room at Manhattans has free Wi-Fi, a flat-screen Freeview TV and tea and coffee making facilities. An old town once famed for its coal mining, Wallsend is just 10 minutes from the beautiful North-East coast by car or Metro Station. Parking is available in the residential area nearby. 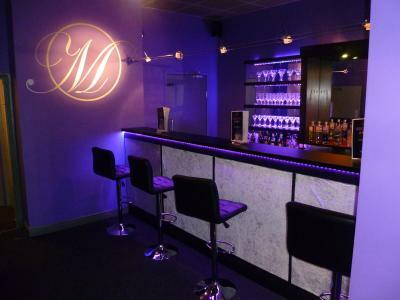 Manhattans has been welcoming Booking.com guests since 8 Aug 2011. When would you like to stay at Manhattans? Public parking is possible at a location nearby (reservation is not possible) and charges may be applicable. House rules Manhattans takes special requests - add in the next step! Manhattans accepts these cards and reserves the right to temporarily hold an amount prior to arrival. Please note that the on-site nightclub is open every evening until 02:00 in the morning. Some noise disruption might be experienced by guests. 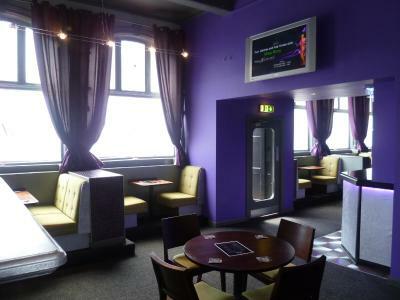 Due to licensing conditions alcohol is not permitted in any of the bedrooms unless purchased from the bar downstairs. Fire regulations only permit registered guests in the bedrooms at all times. 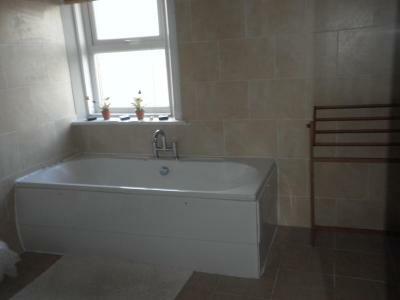 Please note that towels and linen are included. 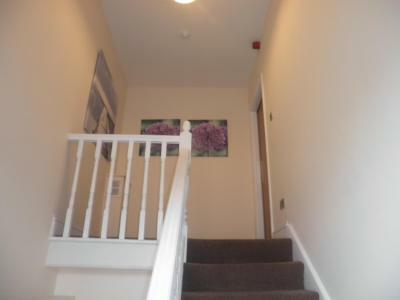 Please note that this property cannot accommodate any guests under the age of 18. No lock on a shared toilet between a number of rooms. Beds not cleaned properly, was a used contact lense on the sheets. The steps going to the room were challenging.good.hotel itself was worth what was paid. 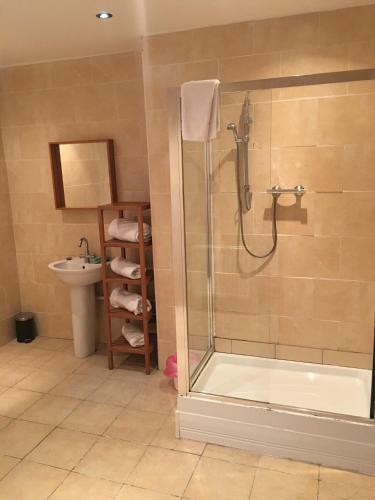 The lack of parking its not made clear the with the 4 bed room that the bathroom and toilet are separate. Taxi men over charge if your not from round the area, best way to travel is by bus. The customer service was shocking. Also as we got there at 3 which is when it opens it was all locked up. We were ringing for 20 minutes before someone answered the phone. When you get in you have to fill out your name and address onto a piece of paper, there are 2 sheets, I looked at the other sheet and it had ALL of my bank details. It had my full bank card number not just the last 4 digits, it had my expiry date and my CVV security code on the back of my card!!! I asked her to pass me the paper back So I can scribble it out and she refused and said she needs to ring her manager, she then rang and said no we keep them details in case there is any damage done.. Them details shouldn't be kept anywhere never mind printed out. Anyway she ended up letting me scribble it out after pretending to lose the pen for 5 minutes. I had to cancel my card straight away. Just didn't trust it. The place wasn't very welcoming, it wasn't a nice place to stay.. wasn't a hotel.. more like a bed sit.. looked like there was sick on the carpet. ALSO, you get given 1 key. That key opens the front door.. another main door on the landing AND your bedroom door.. It's all the same locks! We didn't feel safe at all. We were up 4 flights of stairs and when we got in the room it was freezing because they hadn't had the heating on. It Was decent for the money, we paid 45 pound for 4 beds and a shower. there's a kettle with tea and coffee and a radiator that works when it's actually turned on. The cleanliness was diabolical, you expect basic for the price they are charging, which is fine, but you also expect clean. 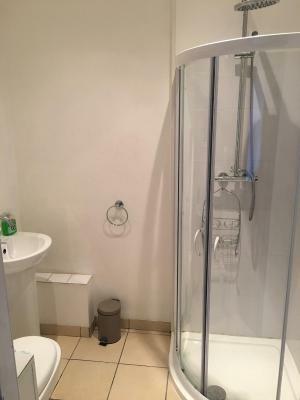 The room had not been cleaned in some time and had dirt round the toilet bowl and in the shower tray along with hairs on the toilet, in the sink and shower and even on the tea tray. My wife refused to stay and immediately handed the keys back to the bar staff, who promised a full refund. 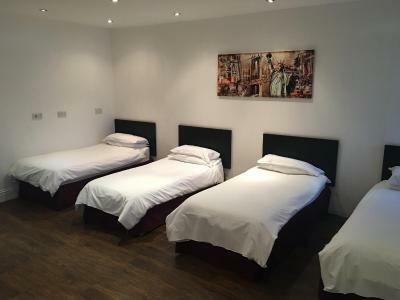 We have since contacted the property again and have been told they feel the facilities were up to scratch and no refund will be made - avoid unless you don't mind sleeping in filth.